One of the risks of chasing dividend yield is that high-yield dividend stocks aren’t always the best stocks to buy. Quite often, high yields instead are a sign that the market doesn’t believe the dividend is sustainable. If the market is right, and the dividend is cut, the underlying stock can crash. Indeed, payout cuts have led to substantial declines at widely held stocks like General Electric Company (NYSE:GE), Frontier Communications Corp (NASDAQ:FTR) and Kinder Morgan Inc (NYSE:KMI). But there’s another way for investors to drive higher yields — the only “downside” is that it requires patience. There are stocks with yields that don’t look quite as impressive at the moment but are growing nicely each year. This is the core idea behind “dividend growth investing,” and it opens up a wider range of stocks to investors. Instead of chasing yield at any cost, DGI investors can buy quality companies who are growing both earnings and their dividends. With a little time, the yield on cost can rise to the 3-4% level dividend investors prefer … if not higher. Here are 10 dividend stocks to buy with yields that don’t look that attractive … yet. But given time, these 10 stocks should become cornerstones of a quality DGI portfolio. At first blush, Walgreens Boots Alliance Inc (NASDAQ:WBA) seems like an odd choice for this list. WBA’s dividend growth hasn’t been that impressive: last year’s raise was just 6.7%, and the company hasn’t executed a double-digit hike since 2013. But it has been a busy four-plus years for Walgreens. The merger with Boots Alliance closed at the end of 2014. The long-running quest to acquire stores from Rite Aid Corporation (NYSE:RAD) only came to an end a few months ago. Walgreens added another, smaller deal, taking a minority stake in PharMerica Corporation last year. Walgreens now reportedly is in talks to acquire AmerisourceBergen Corp. (NYSE:ABC), of which it already owns 26%. From there, however, there will be a point when cash flow starts getting back to shareholders. And with all of the deals so far, there will be more of that cash flow coming in. Walgreens could choose to pay down debt, but an increased focus on the dividend is likely for a company whose organic growth will slow thanks to market saturation, and whose M&A goals likely are close to complete. 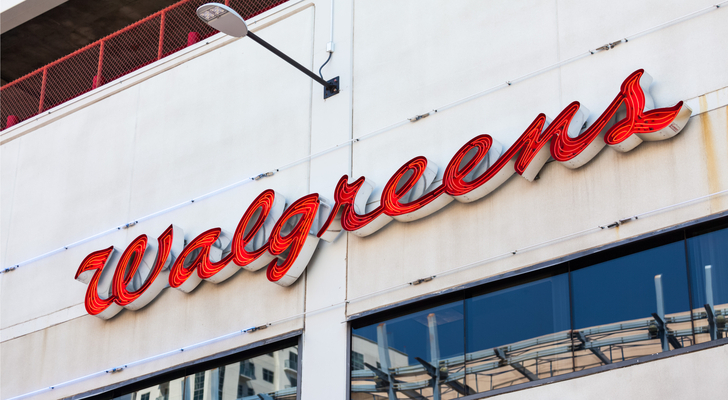 It may take until 2020, but at some point a mature, diversified Walgreens will turn its focus toward shareholder returns. 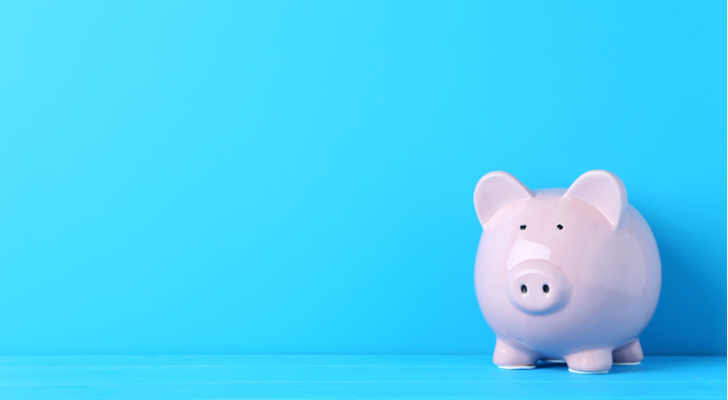 With the stock looking cheap at the moment, savvy investors can perhaps see some capital appreciation in the next 1-3 years before the income investors notice. Medtronic plc. Ordinary Shares (NYSE:MDT) is where Walgreens likely will be in a couple of years. The medical device manufacturer already is a Dividend Aristocrat, having raised its dividend for 40 consecutive years. But those raises, despite a modest 7% hike last time around, are likely to increase going forward. Medtronic already has done its major deals, most recently a $43 billion blockbuster acquisition of Covidien, that closed in 2015. In fact, its biggest move of late was a sale of one of its businesses to Cardinal Health Inc (NYSE:CAH). And now the company is simply going to have to grind out growth. 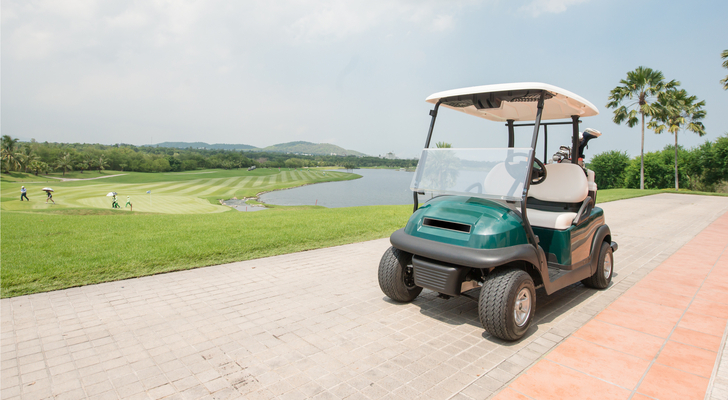 Its goal is to drive just mid-single-digit revenue growth, with cost controls driving some level of operating leverage. This is the point where companies start more aggressively returning capital to shareholders when the opportunities to invest it in the business aren’t there. With tax reform providing a guided “modest” benefit starting in fiscal 2019, and the payout ratio still below 40%, MDT likely is going to see more aggressive dividend raises in the near future. That in turn means a patient investor likely could get at least a 3% ‘yield on cost’ in the near future. And with the stock itself looking attractive, as Will Ashworth argued last month, capital appreciation is possible as well. It’s a nice combination, which drives a strong case to buy MDT stock. Be advised that Marcus Corp (NYSE:MCS) undoubtedly is the riskiest stock on the list. About three-quarters of profits comes from the company’s movie business. That sector has been hit hard of late, after a weak 2017 movie slate. The MoviePass option from Helios and Matheson Analytics Inc (NASDAQ:HMNY) has raised some fears as well. Income investors willing to take on that sector risk might instead look to AMC Entertainment Holdings Inc (NYSE:AMC), which I called out as a high-risk, high-reward play earlier this month and which yields nearly 5.8% at the moment. But Marcus doesn’t have the same level of debt — or risk — as AMC. The company’s hotel business offers some diversification. And with MCS stock having pulled back, a 1.6x price-to-book multiple and a ~15x forward price-to-earnings show upside if the company can regain investor confidence. Meanwhile, Marcus’ dividend is growing nicely. The last increase was nearly 12%, and tax reform should provide more cash flow for shareholders in 2018. There’s definite “yield trap” risk here if the movie business finally goes south, pressured by Netflix, Inc. (NASDAQ:NFLX). But this is a solid, well-run business that has been through tough times in the past, and if those fears are overwrought, DGI investors will own a gem. Inter Parfums, Inc. (NASDAQ:IPAR) yields less than 2%, but it raised its dividend 24% late last year. And there’s room for further increases, one way or the other. All the way back in 2012, Inter Parfums lost its key license with Burberry Group (OTCMKTS:BURBY). The loss left a hole in IPAR’s earnings and cost structure, but also gave the company a ton of cash. The company has been looking to buy brands to replace the loss, and acquired Rochas from Procter & Gamble Co (NYSE:PG) in 2015. But IPAR still is looking for acquisitions, as I detailed back in August. The company still has $230 million in cash, nearly 20% of its market capitalization. At some point, that cash will be spent. If Inter Parfums finds a target, earnings should rise nicely, and the dividend should follow suit. If the company — or its shareholders — run out of patience, that cash may find its way to investors. Either way, shareholder returns are likely to rise — and Inter Parfums’ yield seems likely to climb well past the current ~2%. Hewlett Packard Enterprise Co (NYSE:HPE) doesn’t have a long track record of dividend increases. But since splitting from HP Inc (NYSE:HPQ) in 2015, HPE already has raised its dividend 18% and another 15%. That pace might seem like it would have to slow. Hewlett Packard Enterprise already has spun off two divisions, and server weakness has hit growth of late. But the balance sheet is clean, and the payout ratio (barely 25% of 2018 analyst consensus EPS) is relatively low. Like Medtronic, this is a business that’s not going to grow much, if at all. Capital is going to be returned to shareholders, and that likely means double-digit dividend increases will continue for the foreseeable future. HPE faces risks as it manages a changing technology landscape, as Tom Taulli detailed last month. But if it can manage those risks, and drive some level of earnings growth, this should be a high-yielder in only a matter of years — even with the stock price staying relatively stable. Industrial manufacturer Ingersoll-Rand plc (NYSE:IR) might yield just 2%, but it has more than doubled its dividend over the past four years. That pace might not continue going forward, but there’s plenty of reason to see strong growth ahead as well. I-R is coming off a strong Q4 report, in which it is guided for 5%+ revenue growth next year and 11-15% EPS growth. The payout ratio still sits at just 35%. Recent history shows the company’s commitment to dividend growth, and next year will mark the 100th consecutive year in which I-R has paid quarterly dividends. With the economy running well, and infrastructure spending perhaps providing some indirect benefits over the next couple of years, Ingersoll-Rand should be able to continue its aggressive dividend increases. Buying now likely means a 3%+ yield on cost next decade, and perhaps some nice capital gains as well. Bank of America Corp (NYSE:BAC) has the lowest yield on this list, but that’s likely to change. The company has been hemmed in for the better part of a decade by fines related to the financial crisis and regulatory capital requirements. But those restrictions are coming to an end; at the same tax reform should increase earnings and cash flow. BofA has paid bonuses and increased its charitable contributions, but CEO Brian Moynihan has said the rest of the savings will go to shareholders. With capital requirements met, regulators will allow for sharply increased dividend payouts. Bear in mind that BAC stock traditionally offered a 3%+ yield before the financial crisis. Moving the dividend to $1-per-share per year — a little over double the current levels — would get BofA back to those levels, but still keep its payout ratio around a manageable 40%. I’ve been aggressively bullish toward BAC stock for some time now, but income-focused investors have had to look elsewhere. That’s likely to change. 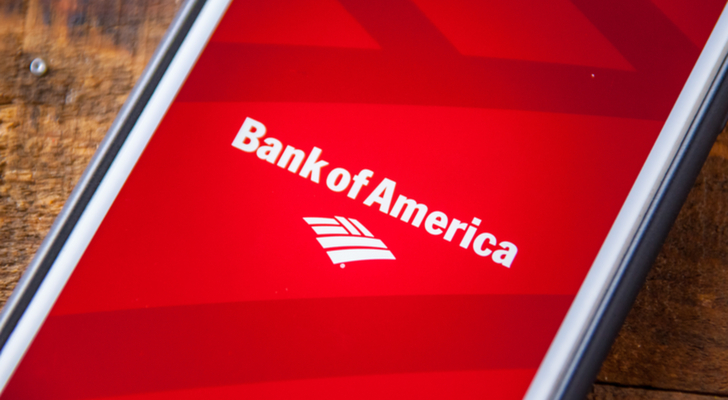 As the banking business gets back to normal, so too, will Bank of America’s dividend. Railroad operator Union Pacific Corporation (NYSE:UNP) is a perfect DGI candidate at the moment. The company already has been aggressive in terms of shareholder returns, ramping up both share buybacks and the dividend. The dividend was increased 9.8% last year after several consecutive years of double-digit increases. The largely U.S.-based company should be a major beneficiary of tax reform, including upfront expensing of capital expenditures. As far as that excess cash goes, CFO Rob Knight said on the Q4 conference call that “it gives us a greater opportunity on dividends and share repurchases”. As such, double-digit increases should be on the way, and a strong economy should help Union Pacific’s organic growth as well. UNP stock has pulled back over 10% since a somewhat disappointing Q4 report, providing an attractive entry point as well. With the stock at just 15x forward earnings and dividend hikes on the way, DGI investors need to take a long look at UNP. 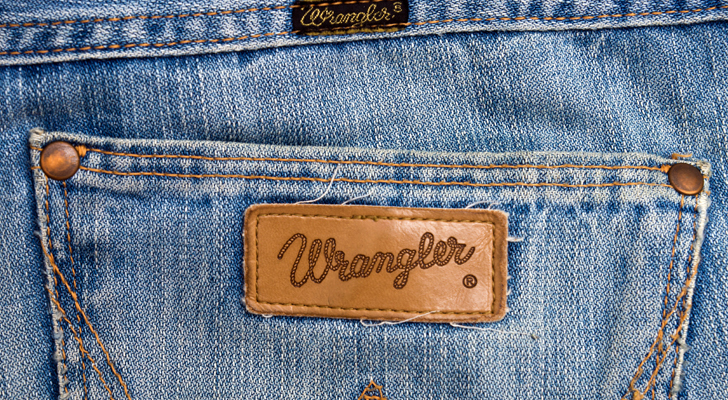 At this point, the only concern with VF Corp (NYSE:VFC) is valuation. VFC stock trades just off an all-time high reached in January (a high I predicted it would reach). A 23x forward P/E multiple for an apparel company in this environment seems potentially pricey. With earnings due this week, there’s a possibility for a sell-off, particularly given what look like rising expectations and a nearly 50% gain just since July. But as far as dividend growth goes, it’s hard to argue with VFC. Lawrence Meyers last month called it one of the three best Dividend Aristocrat stocks to buy for retirement, and he’s not wrong. VFC has consistently raised its dividend, and it’s likely the company will detail its plans for tax savings on the Q4 call on Thursday. Certainly, some of that cash will be returned to shareholders, which could lead to larger increases going forward. Again, a pullback might be nice, and it’s possible one will come this week if earnings at all disappoint. But long-term, this still looks like one of the best plays in the market. And it’s certainly one long-term income-focused investors should target. McCormick & Company, Incorporated (NYSE:MKC, NYSE:MKC.V) isn’t cheap, either. A forward P/E multiple of just 19.3x doesn’t sound particularly onerous. But this is a hugely leveraged business, thanks to its $4.2 billion acquisition of French’s mustard and Frank’s RedHot hot sauce from Reckitt Benckiser Group Plc-ADR (OTCMKTS:RBGLY). On an enterprise value to EBITDA basis, MKC remains one of the more expensive stocks in the food space. But I own McCormick shares because I believe it’s worth paying up for. While many grocery categories like sodas and snacks are declining, spices and seasonings are growing. Unlike the unhealthy options provided by, say, The Coca-Cola Co (NYSE:KO) or Hershey Co (NYSE:HSY), millennials use more of McCormick’s products. And with the Reckitt deal closed, McCormick is going to be throwing off a ton of free cash flow, thanks in part to tax reform savings of its own. Some of that cash will go to paying down debt, but a good chunk is headed toward shareholders. McCormick already raised its dividend 11% in December, and I’d expect next year’s hike to be larger, given guided 13-15% EPS growth in fiscal 2018 (ending November). All told, there’s a solid, multi-faceted bull case for MKC stock. Category growth should help the company, even if market share losses to private label remain a modest concern. The leverage on the balance sheet is a good thing, particularly at a weighted average interest rate under 4%. Shareholder returns should be solid, and the company continues to expand margins. And in a downturn, MKC would have some defensive qualities. I don’t own MKC for just the income, but there’s going to be enough dividend growth here that other investors will be able to. As of this writing, Vince Martin is long shares of McCormick & Co. Article printed from InvestorPlace Media, https://investorplace.com/2018/02/10-dividend-stocks-to-buy-with-low-yields-but-big-dividend-growth/.